Film Plot: A man is accidentally transported to 1300 A.D., where he must battle an army of the dead and retrieve the Necronomicon so he can return home. Grade: C8	Very Fine. 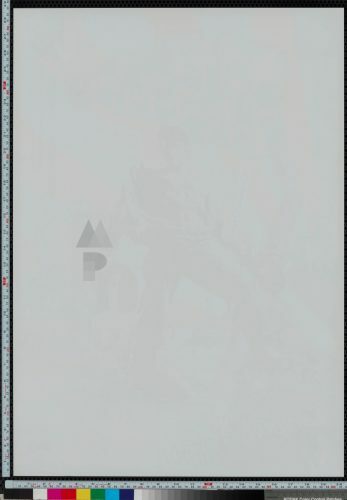 Rolled, single-sided. 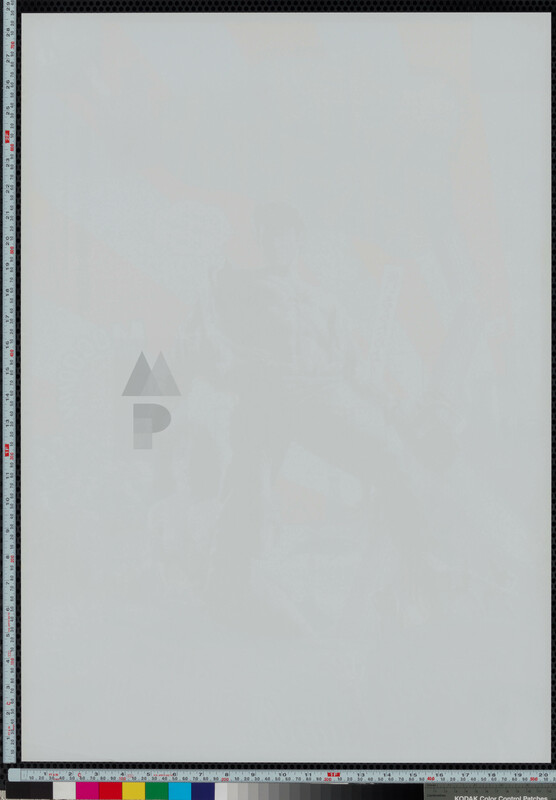 Unused poster with very minimal handling/edge wear, very slight wear in upper right corner, slight crease in lower right, light compression marks from being loosely tri-folded during storage. Gimmie some sugar baby! 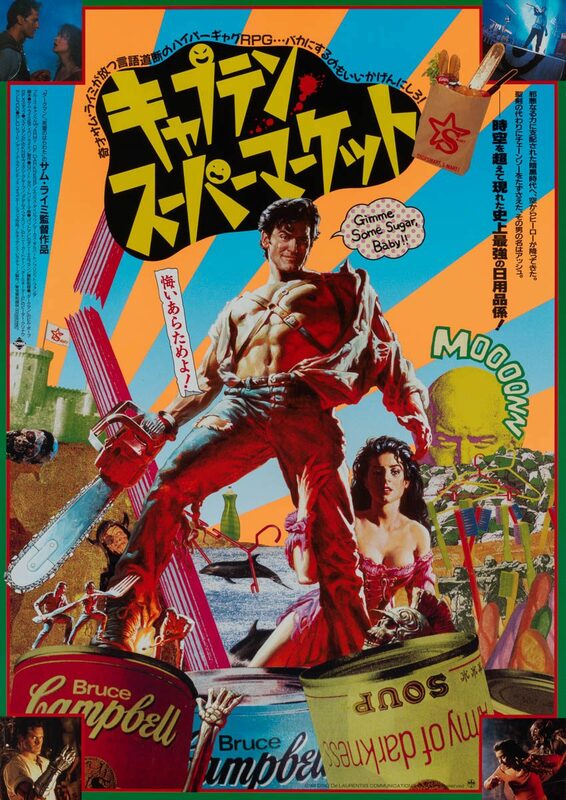 When Army of Darkness was released in Japan they came up with a wild, pop art design reminiscent of Yoko Tandoori’s work and retitled the film — the English translation is “Captain Supermarket”! 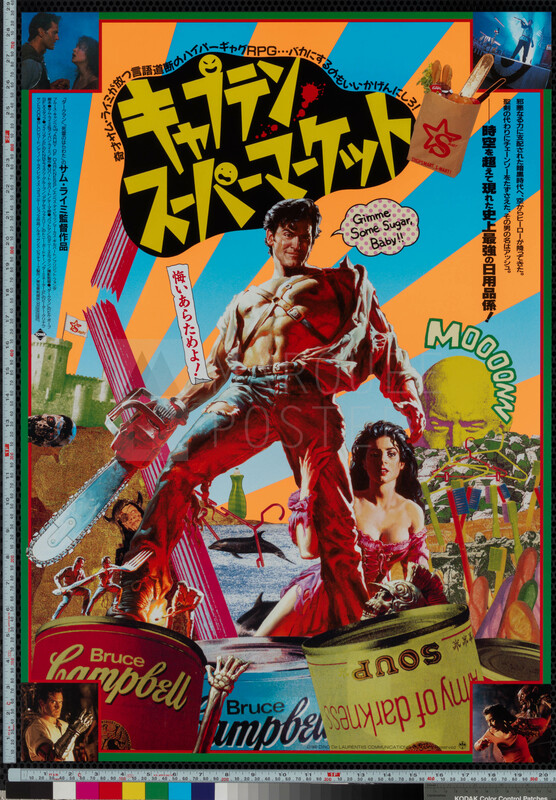 This Japanese B2 perfectly fits with the wacky nature of the cult film and has resulted in strong demand for this rare poster.